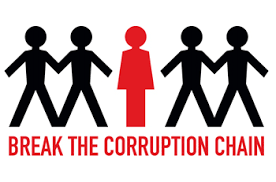 The ACC is a creature of statute, the Prevention of Corruption Act, (our Act) and, therefore, operates and conducts its affairs within the ambit of the law and within the criminal justice system value chain that provides checks and balances to ACC work. The said value chain locates the ACC at the bottom end where the ACC receives a complaint and the initial requirement is to put the allegations to a litmus test from which stems an investigation through which we collect and compile information, process and develop it to evidence and submit same to the office of the DPP for advice. The office of the DPP independently vets our work like it does to other law enforcement agencies and either guides us to approach the courts for warrant applications or advise us to gather more information. The prosecution is duty bound to satisfy themselves that our case meets the required standard. At this stage of the judicial process we are enjoined by our Act to approach the court in chambers. Anything to the contrary is unlawful. The law allows for ex-parte-applications at this stage to obtain these warrants, for obvious reasons that you don’t want to alert the suspects of the impending investigations against them as that may defeat the whole purpose in situations where they may flee and or remove or hide the sought after material. This is the universal practice throughout the democratic and civilized world. The relevant accused constitutional rights are decidedly and understandably limited when weighed against the interests of the larger society in the fight against crime. We are subjected to a further scrutiny by the High Court where the standard applied to our work is whether a prima facie case that establishes a reasonable suspicion exists justifying an arrest and/or a search. Section 13 is apposite in this regard. This section enables us to further our investigations as opposed to prosecute somebody as we are not a prosecuting agency, therefore we cannot be judged by the prosecution standards. A search operation is, by its very nature, an investigative tool where you are still collecting information to found a case. There is no conceivable situation where the ACC would arrest somebody without a Court order in a form of a warrant of arrest. We now pose to juxtapose this stage of the value chain with that where a prosecution agency has to establish a prima facie case that warrants prosecution. The test at this stage is loosely translated and couched in a question form, has the Crown established a case where a reasonable man can convict or is there a case for the accused person to answer? This test is applied after all the Crown evidence is led and witnesses subjected to cross examination by the defence. The law dictates that, all this process has to happen, by and large, in an open Court. The same cannot be said for an investigation process, for obvious reasons. These two tests or standards are often confused yet they are clearly and markedly different as their respective purposes are also different as the stages and circumstances at which they are applied are different too. In conclusion, we sum up by saying, the reasonable suspicion test relates to law enforcement agency at an investigative stage and prima facie case warranting prosecution relates to prosecution agency at a prosecution stage. The last stage of the value chain is after all evidence (both the Crown and the defence) is led and the Court has to pass a judgment. The standard applied by the Court at that stage is whether the Crown has established a case beyond reasonable doubt that the accused person has committed an offence. Going back to the initial investigative stage the ACC operates on a standard of a reasonable suspicion like any other law enforcement agency in the country as dictated by our Act read together with the Criminal, Procedure and Evidence Act and that again is the universal approach world over. It is the DPP’s office, and not the ACC, which prefers charges against the accused person and it is the High Court that authorizes the warrant and not the ACC.